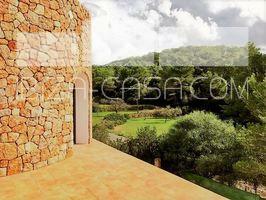 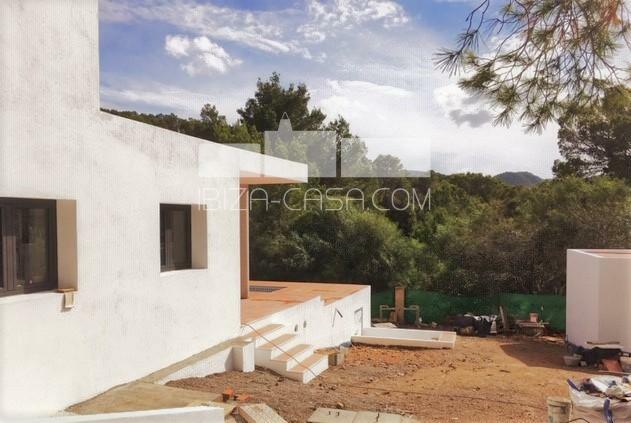 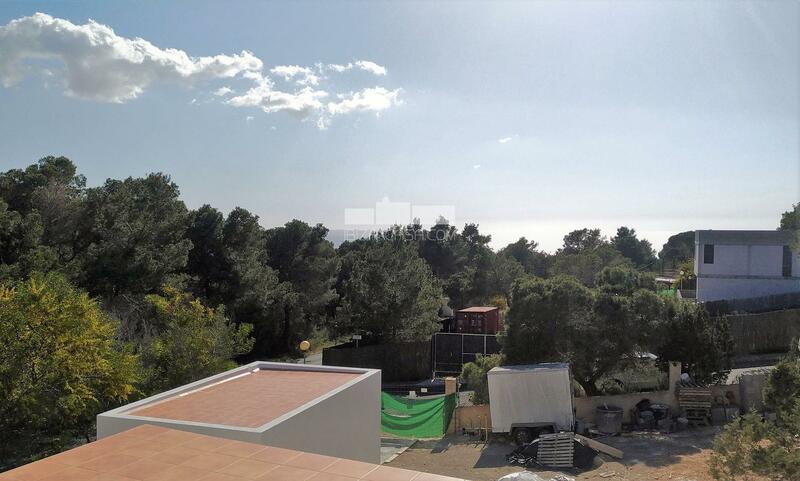 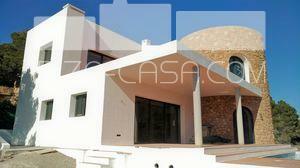 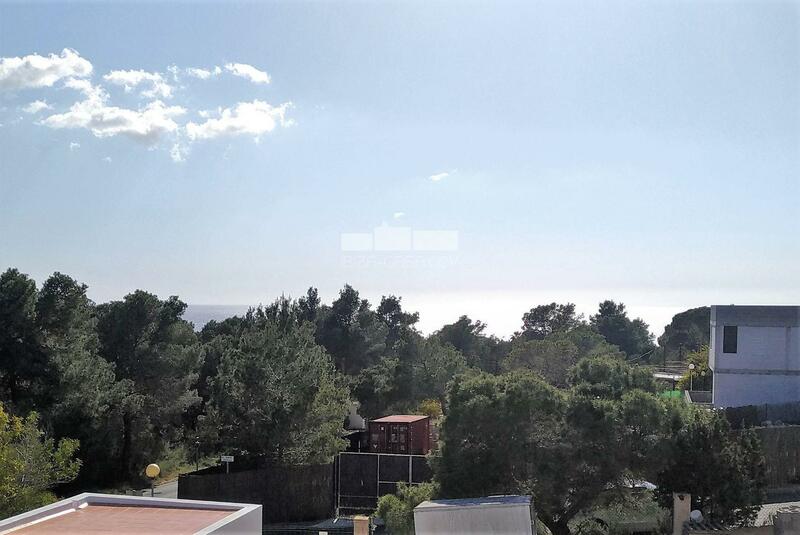 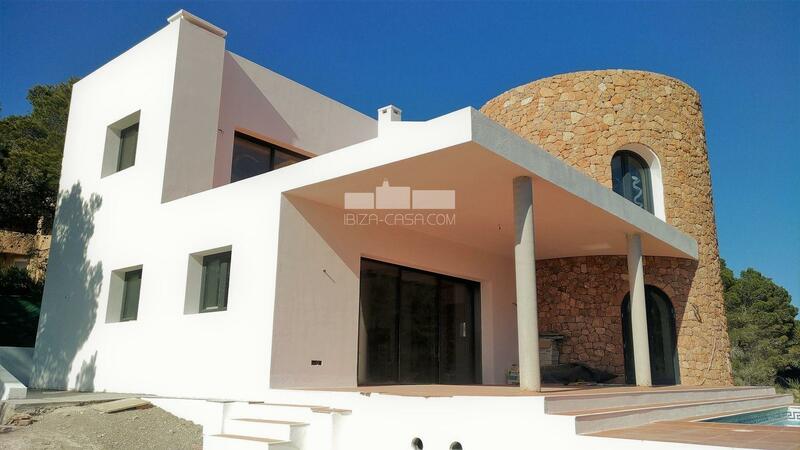 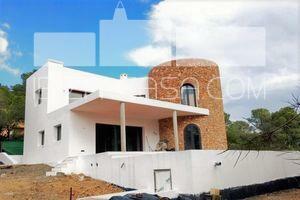 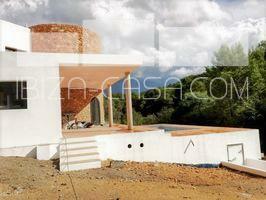 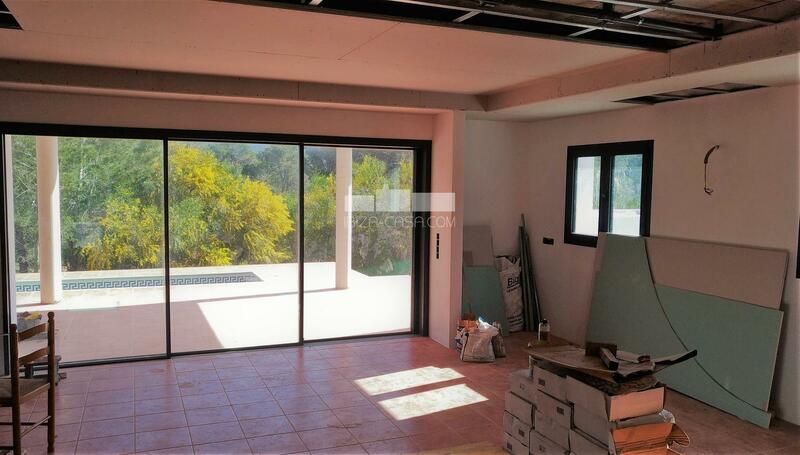 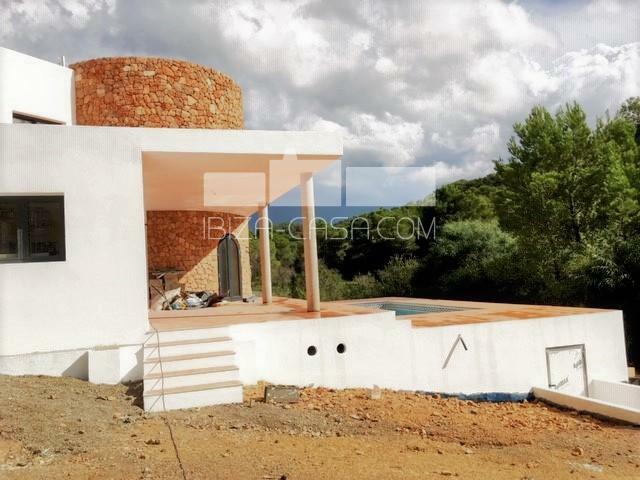 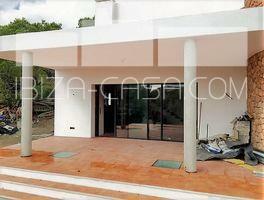 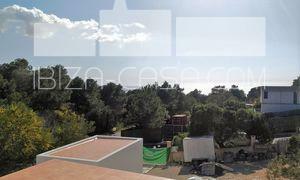 New villa with tower 900m over the Cala Tarida with panoramic views. 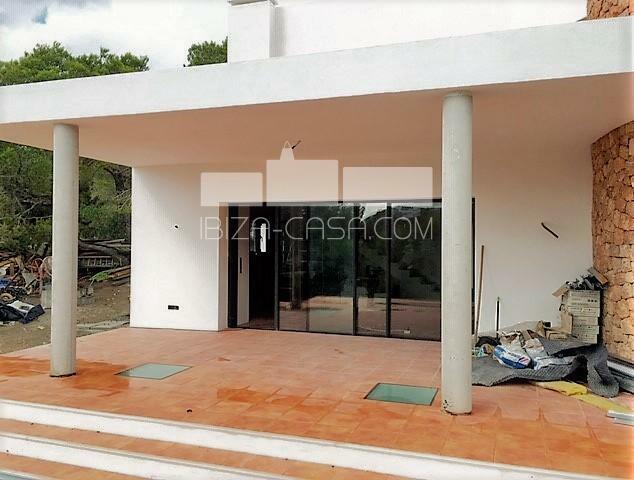 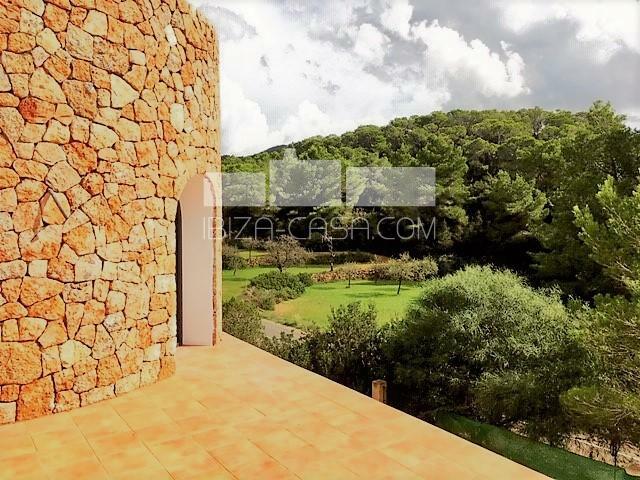 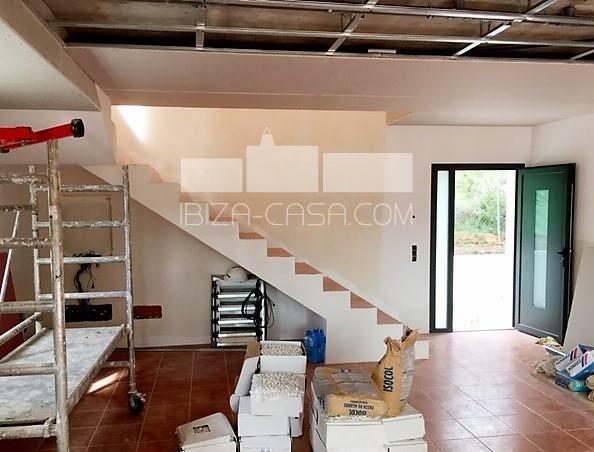 New built, generous Villa in best quality with large open living space, special, traditional tower, pool with adjoining room plus separate garage and possibility to expand by about 80 m2. 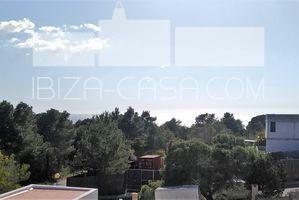 the beautiful cultivated old land and also a part view to the sea with sunset. 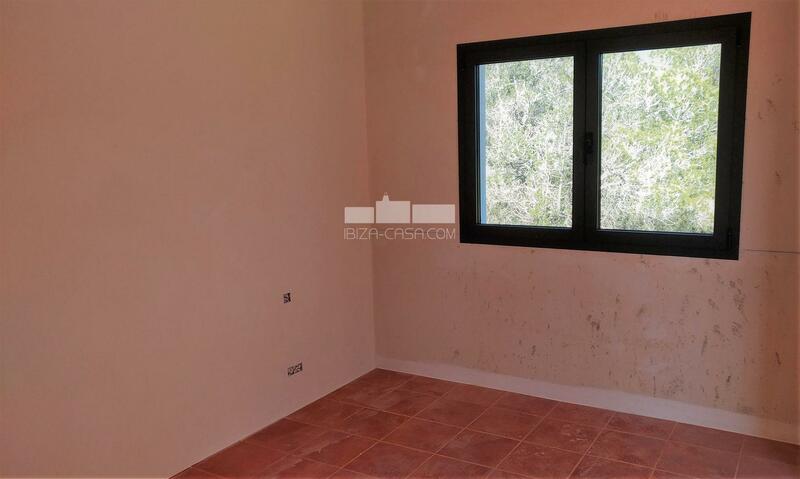 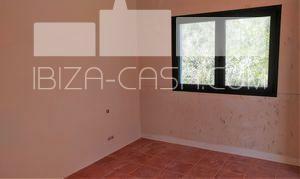 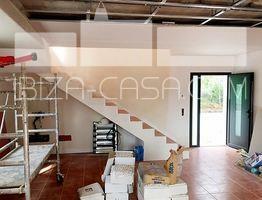 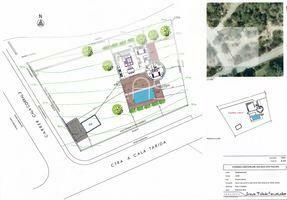 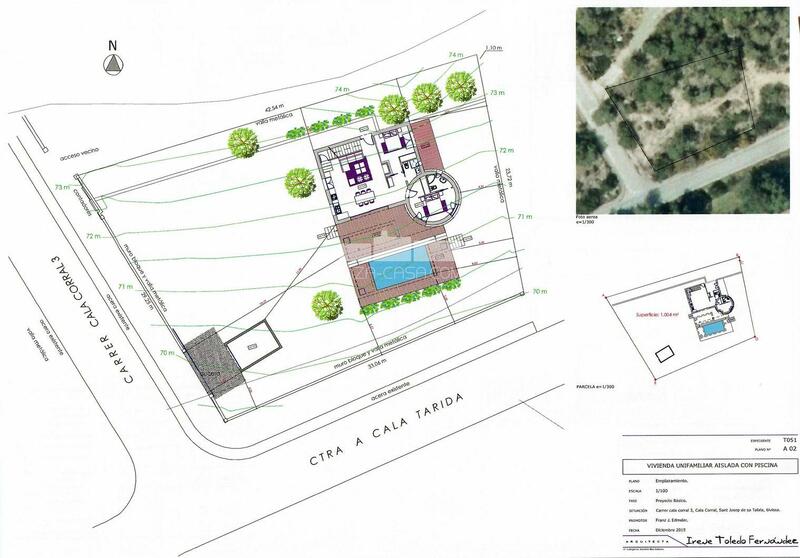 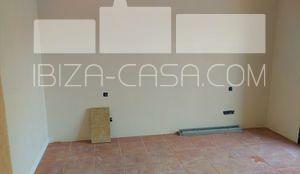 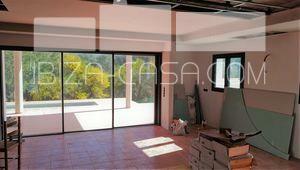 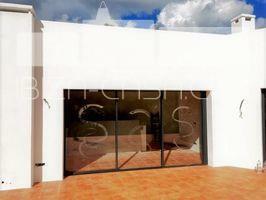 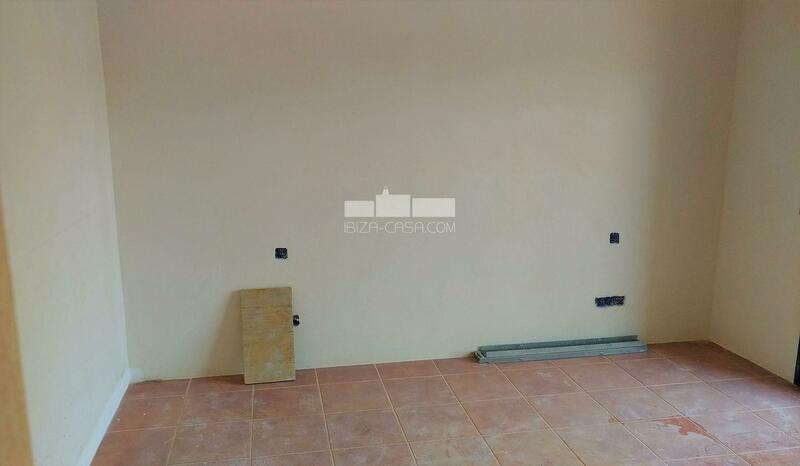 The property needs about 50.000, - to finish and is a ideal and perfect investment.